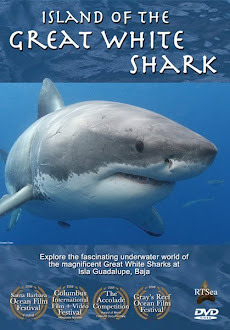 Shark Diver : Shark Diving : Swimming With Sharks: Isla Guadalupe Shark Encounters This Week! 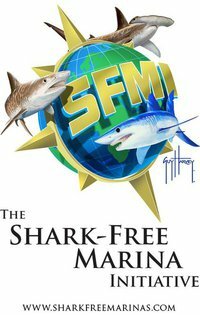 Isla Guadalupe Shark Encounters This Week! Yesterday, we woke to a beautiful sunrise and flat calm waters. A great day for shark diving! After a delicious breakfast we had our cage safety orientation and got into the cages. We have 9 divers on board who are not SCUBA certified and were eager to go into the cages and breath from a regulator for the first time. Right after Steve finished clearing his mask, “Bite Face”, a 15 ft shark we have known for 13 years, swam by the cage, just a couple of inches from where Steve was watching. What a way to start your first dive ever! The morning was a little slow, but we had a few sharks cruise by the cages, checking out our divers. The action picked up considerably by mid afternoon. During the last 2 hours we had up to 3 sharks at the cages at the same time. Another nice day at Isla Guadalupe and 17 freshly minted “Shark Divers.” We ended up seeing a total of nine different sharks, with Bite Face, Big, Julie, #130, and Don Julian making an appearance along with 4, as of yet, unidentified animals. After another one of Chef Mark’s excellent dinners, we are all tired, but excited to see some more sharks tomorrow. Our Divers See the Whites of the Great Whites!